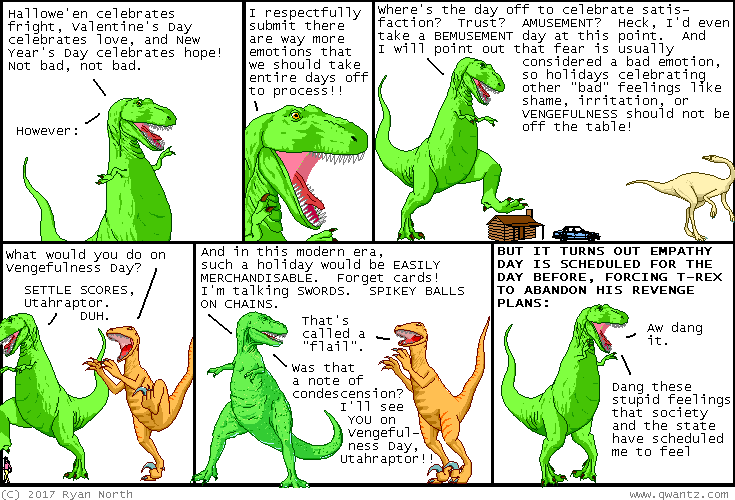 Dinosaur Comics - November 3rd, 2017 - awesome fun times! One year ago today: NO, I didn't "VANDALIZE ANY NON-CHICKEN ARTICLE". GOSH.